For the second year in a row, the VCLA was a partner of the Vienna Science Ball, which took place on January 30, 2016. The ball’s 3000 guests were presented with a folding logic puzzle which was designed by Erik and Martin Demaine (Massachussetts Institute of Technology). The first ten people who solved the puzzle correctly received a 3D-printed bow as a ball accessory, courtesy of the Human-Computer Interaction Group (HCI) at the Faculty of Informatics. Together with the HCI Group, the VCLA organized a booth with a 3D printer where several bows were produced. Since the production of one bow took almost 45 minutes, several dozen had been printed beforehand. Ball guests had the opportunity to make a donation to the refugee aid initiative of the Faculty of Informatics, welcome.TU.code, and received a 3D-printed bow as a donor gift. 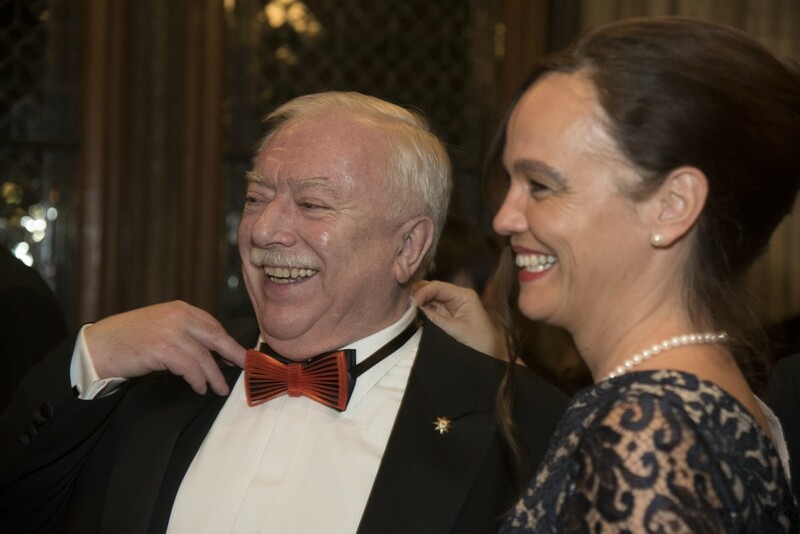 The bows were a large success with the ball guests, sparking the interest of Viennese Mayor Michael Häupl as well. Click here for more photos of the Vienna Science Ball.